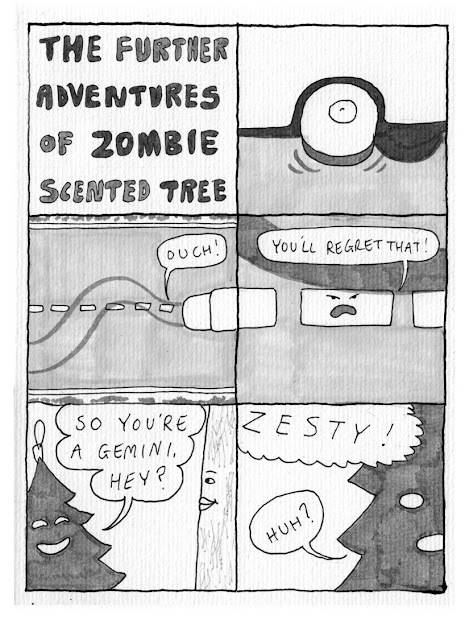 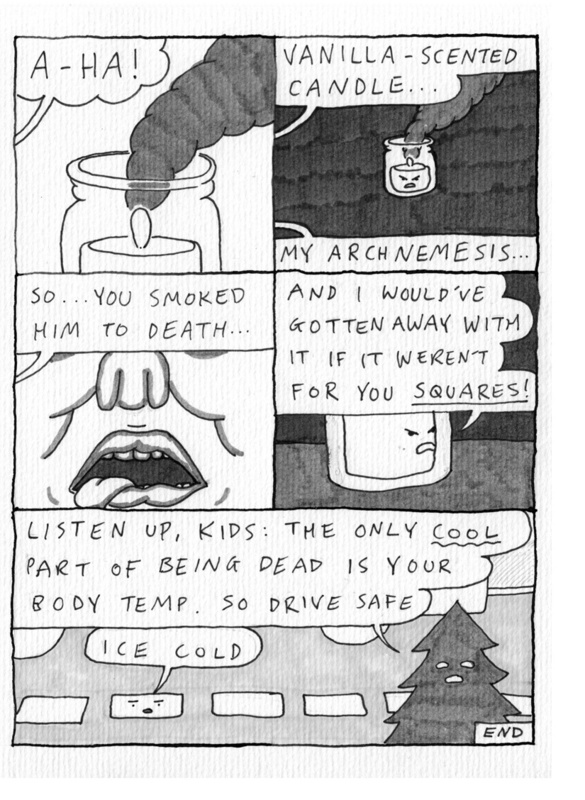 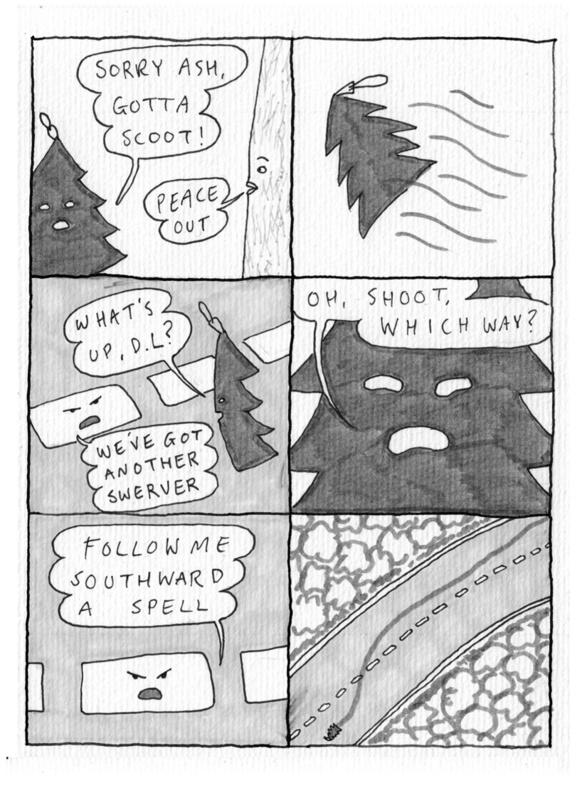 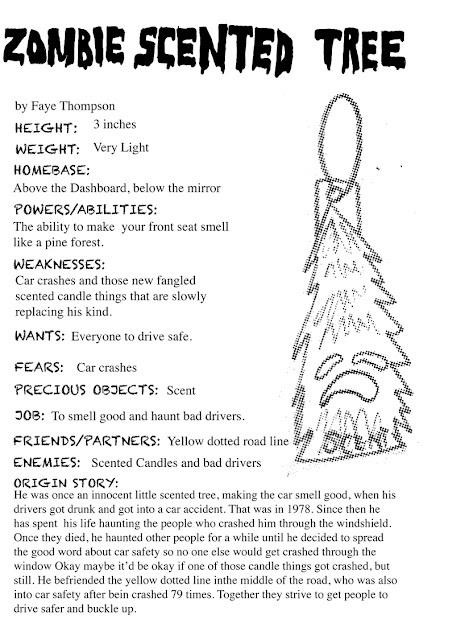 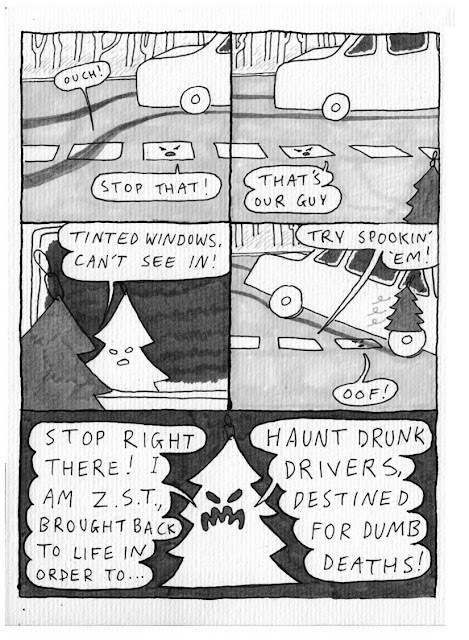 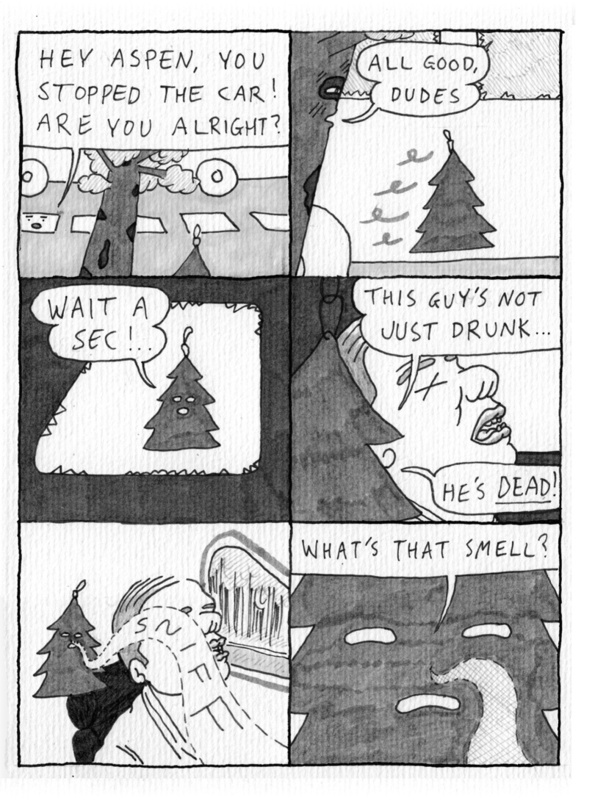 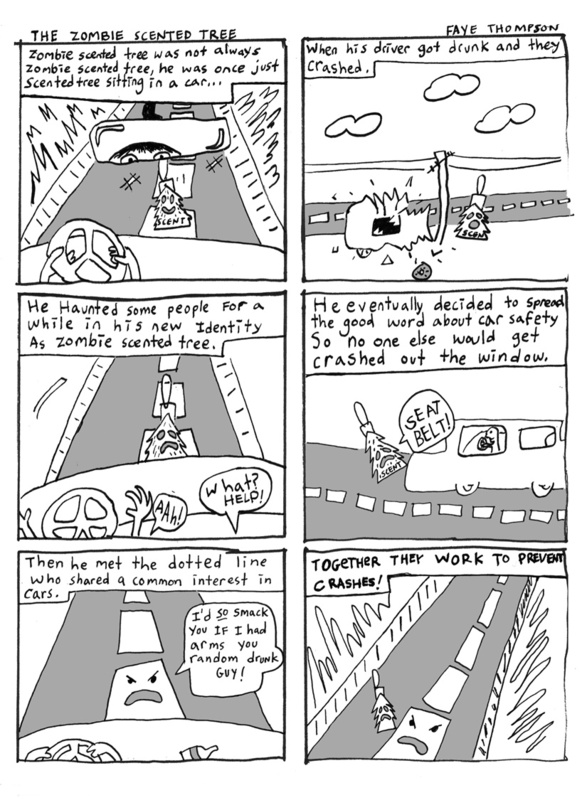 THE ZOMBIE SCENTED TREE by Faye Thompson and THE FURTHER ADVENTURES OF ZOMBIE SCENTED TREE by Elliot Lamb From PCC’s Providence Carcrash Consortium #1! 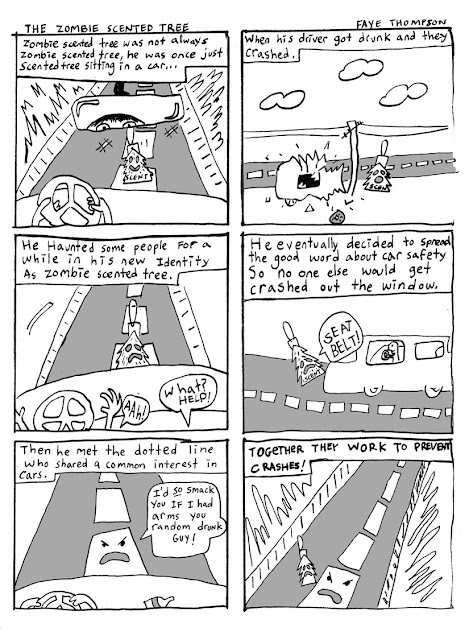 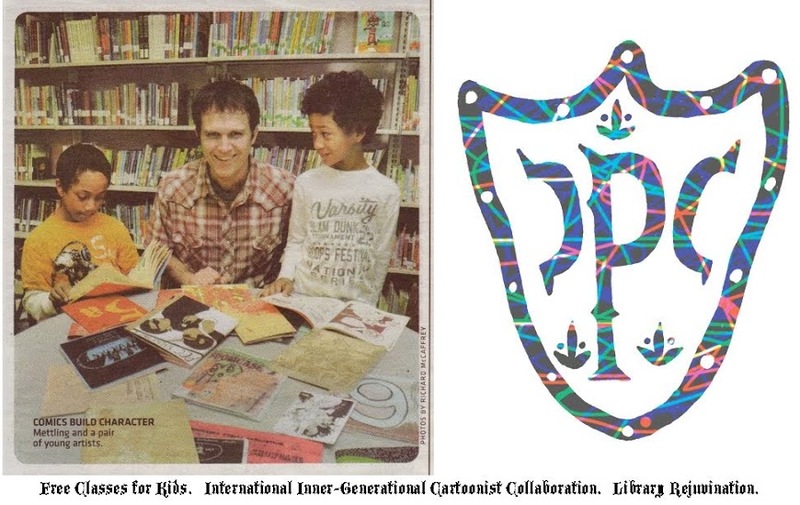 Still available here!For almost a year the Rhode Island Department of Transportation has been supporting the Providence Comics Consortium’s free comics classes at the Providence Community Libraries in exchange we’ve been creating some of the most scary and creative pro-seatbelt propaganda on the market. 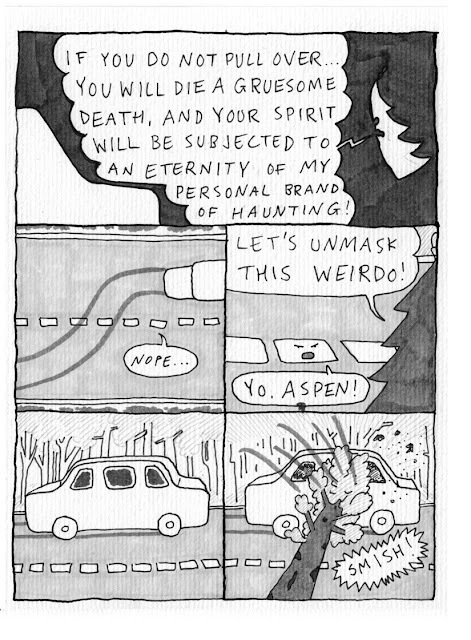 Wear your seatbelt!